Stunning custom home w/exquisite detail & finishes, ideal for gracious entertaining & comfortable family living. Intricate custom millwork, rich hardwood floors & exceptional craftsmanship. LR & DR w/decorative tray ceiling & abundant natural light. First floor office w/gas fireplace. FR open to kitchen, w/gas fireplace. Gourmet kitchen features Wolf range & hood, Sub Zero fridge, Bosch dishwasher, center island w/breakfast bar & eating area. Rear entry is spacious w/walk-in pantry & walk-in closet. Master suite w/wall of windows & 2 walk-in closets. Luxury bath features granite vanity, whirlpl tub & steam shower. 2nd & 3rd BR share Jack & Jill bath, 4th BR is en suite. 5th BR is en suite & currently used as playroom. Lower level w/theatre, bar area, large rec area, BR, full bath & 1,500 bottle wine cellar. Whole house generator, surround sound & security system w/cameras. Backyard features a brick paver patio and large grassy area. Award winning District 103 and Stevenson High School. Directions: Riverwoods Rd south of Rt. 22, west on Cambridge Ln, right on Darby to home. No sign. I was searching for a Property and found this listing (MLS #10270428). 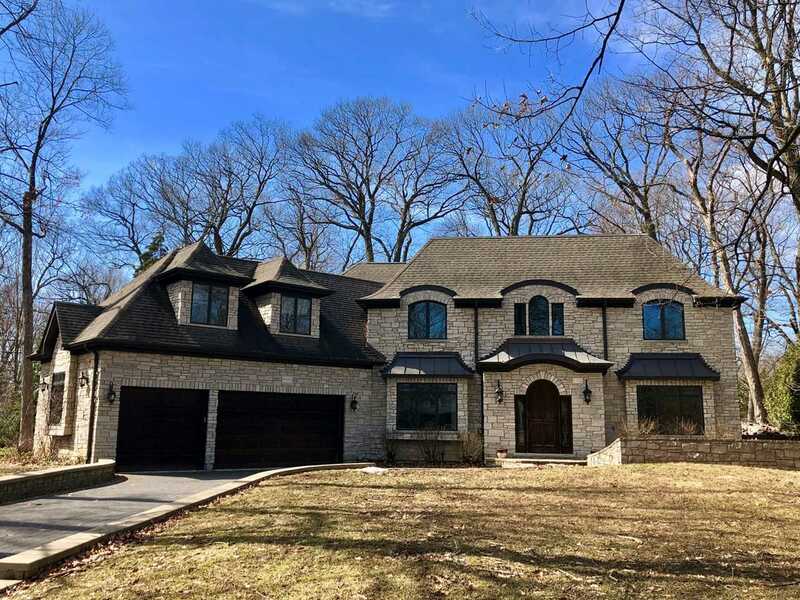 I would like to schedule a showing for 8 Darby Ln Lincolnshire, IL 60069. Thank you! I was searching for a Property and found this listing (MLS #10270428). Please send me more information regarding 8 Darby Ln Lincolnshire, IL 60069. Thank you! Listing provided courtesy of Berkshire Hathaway Homeservices Koenigrubloff. The data relating to real estate for sale on this web site comes in part from the Internet Data Exchange Program. Real estate listings held by IDX Brokerage firms other than Coldwell Banker Residential Brokerage are marked with the Internet Data Exchange logo or the Internet Data Exchange thumbnail logo and detailed information about them includes the name of the listing IDX Brokers. This information is provided exclusively for personal, non-commercial use and may not be used for any purpose other than to identify prospective properties consumers may be interested in purchasing.